The term „facet syndrome“ was introduced by Ghormley1 in 1933. Shealy2 proposed the use of percutaneous thermocoagulation for the denervation of facet joints in 1976. Based on this technique, Charles Ray and Nikolai Bogduk3,4 introduced radiofrequency neurolysis of the ramus medialis. In 1997, studies by Dreyfuss5 scientifically proved that targeted neurolysis of the ramus medialis can be used to treat pain emanating from the facet joint. 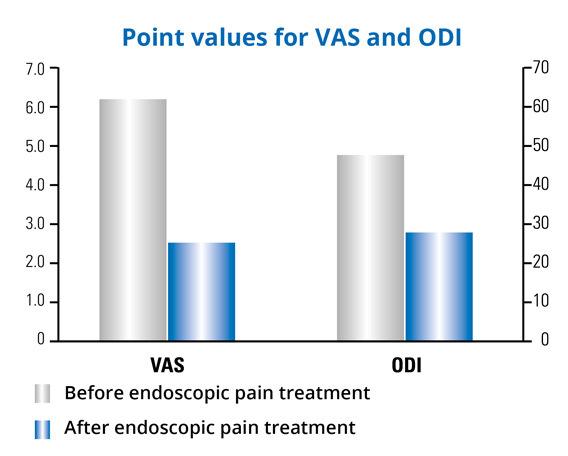 The approach of endoscopically controlled radiofrequency facet joint denervation is likely to produce long-lasting pain relief6. MultiZYTE®Facet can be used for several diagnostic and therapeutic procedures on the spine. These include periradicular therapy (PRT) and facet joint block. 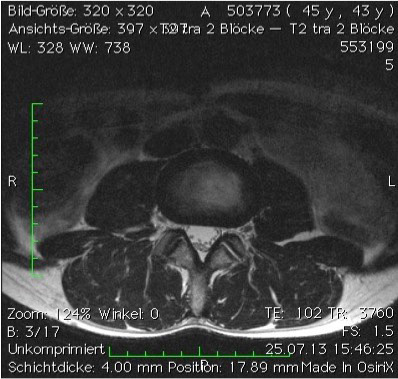 All surgery to the spine, including facet joint treatment, must be carefully prepared with a clinical diagnosis, magnetic resonance imaging (MRI) and/or computed tomography (CR), and various conventional X-ray images. Facet joint infiltration provides final verification of the facet joint level generating the pain. If pain stops after infiltration with painkillers, the corresponding nerve branch can be denervated using radiofrequency. 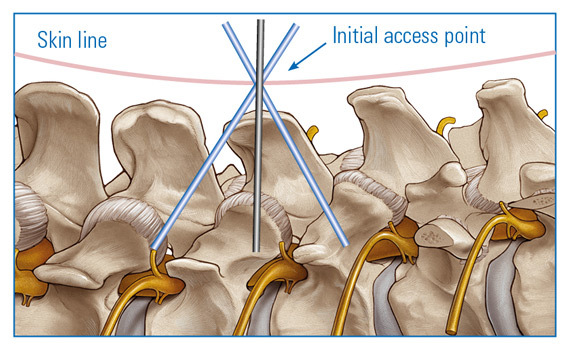 The joint capsule can also be treated during the same procedure depending on the indications. 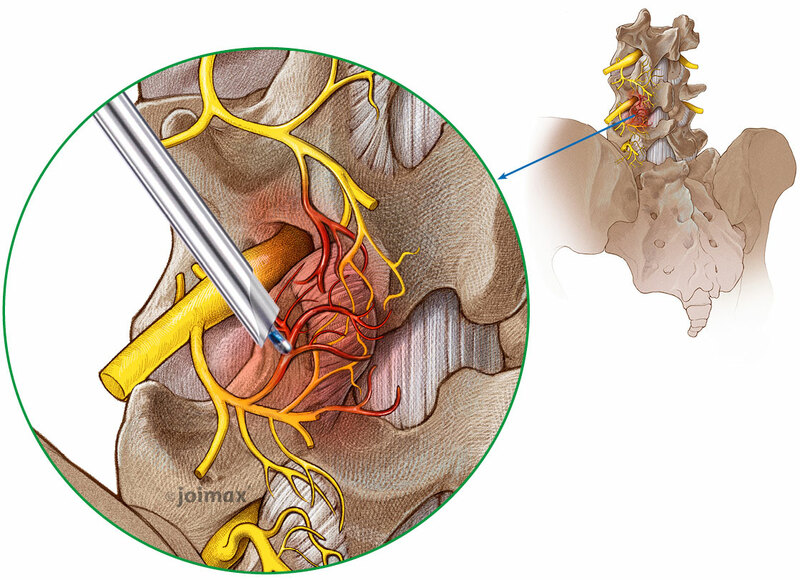 Under endoscopic view, the joint can either be punctured, infiltrated or tissue can be removed. Various instruments are available for this purpose (forceps, shaver blades, RF probes). When is the endoscopic facet joint treatment recommended?